Greetings, fellow Neopians! I personally thank you for coming to read my article. *fake cheesy smile* My name is Toby3647, and I am Melissa's Ghost Gelert. Since Dae got to do an interview with Uzarro, I decided I wanted to do my own Neopian Times Article. It's about the Milestones of Neopia, hence the title. You may wonder what these milestones are; I am here to tell you. Why? 'Cause, if I didn’t, this wouldn’t be a very good article, now would it? 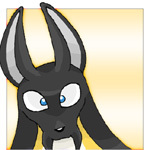 ;) So, milestones are certain times on Neopets where you reach (insert what you reached). You may think of more, but for now, just sit back and read. Note: Milestones are not always happy memories. There are darker, more unfair ones out there. You just have to grit your teeth and move on, like eating rotten fruit. Or soup with dung floating in it... X_X Where that Soup Faerie gets her recipes, I will never know. Then again, maybe I don't want to know. Painting your first pet- I myself was the first Neopet Melissa painted. Even though the ghost paint brush at the time was only 130k, it was a big deal to us because it was the first time we had ever done it. It's really cool to do go to the Rainbow Fountain, and paint your pet, and when you look at your pet... indescribable. So I’m not gonna try. Getting into the Neopian Times- It's such a wonderful moment to read that accepted letter (and all that fanmail!). And that first time, well, again, it's indescribable. But getting to share your letter with all your neofriends, take us pets out for slushies, and all the things you do to celebrate is part of a very happy time. Earning your first trophy- It's not as thrilling as painting your first pet to me, but to some people it's like a souvenir when you spent hours playing that game, and got into the high score boards. Or, even a simpler trophy like when you beat Capara and Fernypoo and all those guys at Cheat! can bring back happy thoughts... like Fernypoo’s face when you said she had cheated and guessed right! Entering your first plot- Years later you can look back and say “it cost me 10k to fix up my pet in the first battle” or “We fought with Hidden Tower weapons for the first time; that was cool!” I believe the fun comes after the plot, 'cause plots always give us tons of grief. Getting a profitable Random Event- How could I forget? Random Events! For example, Dr. Sloth gave you a Krawk transmogrification potion, and you sold it for lots of neopoints on the trading post. I bet you won't forget that! I say profitable Random Event because you are most likely to remember something good, am I right? But, also, if you get that mutant kadoatie event where he takes away 5k or the Pant Devil took away your Hidden Tower item, you will remember that as well. It IS a milestone, unfortunately, so it is on here. I hope it won't bring back unpleasant memories... those are never fun. Completing your first job- It may not be as great as others, but this is a milestone. If you entered in the regular jobs like everybody else, you may not remember this, but if you used a job coupon, then it may be remembered. Especially if you put together this huge if not unnecessary scrapbook of everything that happened to you in Neopia. Making your first Neofriend- Whether it is your little sibling or someone famous, making your first neofriend is something everyone can enjoy. If you make 100 neofriends a day, you might have a little trouble remembering your first neofriend, while people who only befriend people about once every year might still have their first neofriend on their list. It differs for some people, but I reckon making your first neofriend is a milestone, and since I am writing this article, it is. I love these rules no one thinks of. There you go, all the milestones I can think of. I know 10 is a very common number, but I want to use it anyways. I hope you had as much fun reading as I had making this article.